This FOUR PERSON RELAY course allows teams to tackle America’s Toughest Road Marathon with friends. 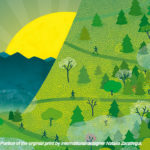 The course is broken up into manageable sections that are accessible to all runners who are interested in an elevation challenge without the extra mileage; 25 teams of four people will be able to participate (~100 total racers), so don’t wait to register. Once your team is registered for the relay, there will be NO CHANGES to team members. If a team member must drop out, the switch will have to be made at the Friday Race Expo registration table and a $10/runner charge will be applied. Total mileage for runner #1 is ~6.2 miles. #1 will line up with all the other racers at the starting line, and begin when the gun goes off at 7:35am. Runner #1 proceeds up Mill Mountain 2.7 miles to the “spur” (where the road splits and you can go left to the Blue Ridge Parkway or right to the Mill Mtn. Star). Runner #1 will actually be completing two separate sections, and will wait at the spur while runner #2 runs the Roanoke Mountain Loop. We will have a tent set up by the Mill Mtn. Spur aid station and runner #2 can bring a bag with clothing and other supplies to leave in the tent for your use. Once Runner #2 returns from their 9.2 mile section on the parkway, they will “pass the baton” back to Runner #1 who will then run their remaining 3.5 miles up the rest of Mill Mountain to the star and then down the back side of the mountain on the old toll road until they reach the Fleet Feet sports aid station where runner #3 will be waiting. Runner #1 must complete their first leg by 8:20am (~16:20 minute mile pace), and their second leg by 11:45am. The total mileage for runner #2 is ~9.1 miles. This runner is responsible for the “beast” leg of the route, which is the longest and arguably toughest section of the course. Runner #2 will run the entire Roanoke Mountain loop along the Blue Ridge Parkway, reaching the highest elevation peak along the course. Shuttle Information: All runners participating in the relay must take the shuttle to the appropriate transition area, relay runners not on the shuttle will be disqualified. The runner #2 shuttle will load on Williamson Rd. (across the road from Elmwood Amphitheater) at 6:45am, and depart at 7:00am. Runners will be taken up to the Mill Mtn. Spur transition point. They can take a duffle with supplies for themselves and runner #1. Runner #2 must be finished with their leg by 10:50am in accordance with the 6 hour cut off at mile 22 (~16:20 minute mile pace). Total mileage for runner #3 is ~6.1 miles. This runner will run the loop through South Roanoke with the added bonus of running up and down the notoriously steep Peakwood Mountain. This runner will start and end near River’s Edge Sports Complex where there will be a support tent set up next to the Fleet Feet Sports Roanoke aid station. Shuttle Information: All runners participating in the relay must take the shuttle to the appropriate aid station tents, relay runners not on the shuttle will be disqualified. The runner #3 shuttle will load on Williamson Rd. (across the road from Elmwood Amphitheater) at 8:00am, and depart at 8:15am. Runners will be taken to the transition area near River’s Edge. This means you can cheer on your teammates at the start before heading over to meet the shuttle. You may also take a duffle with supplies for yourself, runner #1. Runner #3 must complete their leg by 1:25pm (~16:20 minute mile pace). Total mileage for runner #4 is ~4.8 miles. This runner gets to have all the glory of crossing the finish line, as well as having the shortest leg of the route through downtown Roanoke. While their section is certainly not flat, they will not summit any of the three mountains along the course. Runner #4 will also be dropped at the support tent next to the Fleet Feet Sports Aid Station, and once runner #3 departs will need to be prepared to head over to the final transition area on Jefferson St. (just a short walk from the support tent). Shuttle Information: All runners participating in the relay must take the shuttle to the appropriate aid station tents, relay runners not on the shuttle will be disqualified. The runner #4 shuttle will load on Williamson Rd. (across the road from Elmwood Amphitheater) at 8:00am, and depart at 8:15am. Runners will be taken to the transition area near River’s Edge. This means you can cheer on your teammates at the start before heading over to meet the shuttle. You may take a duffle with pre-running supplies and leave it with runners #1 & #3 to bring back for you on the bus. Runner #4 must reach the 6 hour cut off point at mile 22 (~16:20 minute mile pace). Cost: $350/team ($87.50/runner) The relay requires significantly more logistics than ANY of the other distances and the cost is less than the half while still covering transportation, tent rentals, staffing and other logistical fees. 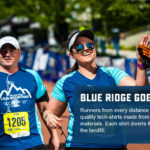 All members of the relay team will get their own unique Blue Ridge Marathon Relay finisher’s medal, marathon shirt, and the first three teams regardless of their gender or age category will be awarded a trophy at the end of the full marathon award ceremony. All shuttles will depart from Williamson Rd. next to the Elmwood Park Amphitheater. Any vehicles found on the parkway, near the spur or at River’s Edge Edge transition points WILL BE TOWED. Any relay runners that DO NOT take the shuttle to the appropriate transition points will be disqualified and banned from participating in the event. An email with exact shuttle times, locations and other relay information will be sent out prior to race day. Please stay tuned. We recommend that relay members bring a team duffle(s) that the shuttle riders can bring to the aid station tents with warm clothing (while you’re sitting), water, fuel of your choice, etc. for you and your team members. After Runner #2 is finished they will be shuttled down to River’s Edge aid station tent to cheer on other relay members, and then all relay members will be shuttled back to watch their team member cross the finish line. Questions? Contact our event manager.